Y. Cui, D. Xiao, and D. Loguinov, "On Efficient External-Memory Triangle Listing," Accepted to IEEE Transactions on Knowledge and Data Engineering, 2018. D. Xiao, X. Li, D.B.H. Cline, and D. Loguinov, "Estimation of DNS Source and Cache Dynamics under Interval-Censored Age Sampling," IEEE INFOCOM, April 2018. Y. Cui, D. Xiao, D.B.H. Cline, and D. Loguinov, "Improving I/O Complexity of Triangle Enumeration," IEEE ICDM, November 2017. D. Xiao, Y. Cui, D.B.H. Cline, and D. Loguinov, "On Asymptotic Cost of Triangle Listing in Random Graphs," ACM PODS, May 2017. Y. Cui, D. Xiao, and D. Loguinov, "On Efficient External-Memory Triangle Listing," IEEE ICDM, December 2016. Y. Cui, D. Xiao, D.B.H. Cline, and D. Loguinov, "Improving I/O Complexity of Triangle Enumeration," Texas A&M Technical Report 2017-8-3, August 2017. D. Xiao, Y. Cui, D.B.H. Cline, and D. Loguinov, "On Asymptotic Cost of Triangle Listing in Random Graphs," Texas A&M Technical Report 2016-9-2, September 2016. 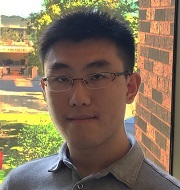 Y. Cui, D. Xiao, and D. Loguinov, "On Efficient External-Memory Triangle Listing," Texas A&M Technical Report 2016-9-1, September 2016. Copyright © 2002-2019 IRL at Texas A&M. All Rights Reserved.